In view of our badminton star’s Silver medal achievement in the recent Olympic games in London, several brands have stepped up and offered goodies to congratulate Datuk Lee Chong Wei for his amazing feat. However, the goodies ain’t for him. It’s for the people who have no direct contribution to his success – but to just support Chong Wei. Nevertheless, it was a proud moment for Malaysia. The nation stood by Chong Wei and congratulated him for his amazing effort throughout the final match against China’s Lin Dan. He did his best – we salute him for that. 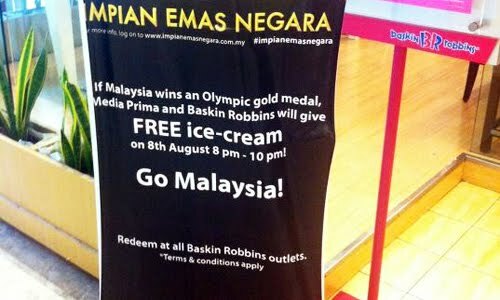 Unfortunately (yes, really unfortunately), brands like Baskin Robbins and Kayu SS2 took this opportunity to boost their presence by giving out goodies. 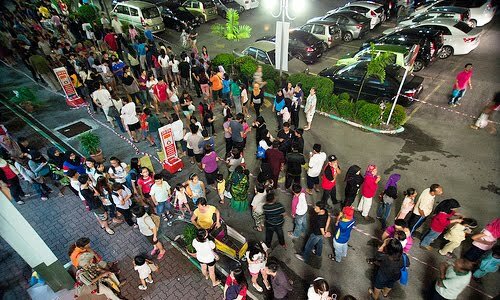 Truth to be told, we Malaysians love free stuff – if it’s free, why not? 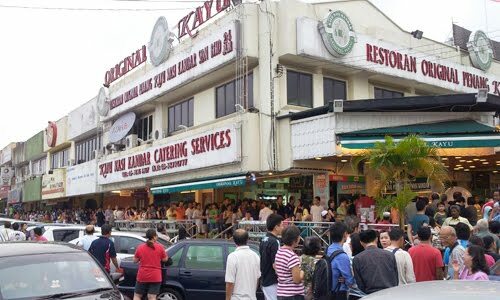 But I personally think that it’s quite sad to be queueing up like that for food that costs only about RM20 both. It’s not like we can’t afford, right? Actually, these brands shouldn’t have done such a marketing scheme. Why reward the people when all you gotta do is to reward the man who brought glory to our nation? In fact, Baskin Robbins should have just given Chong Wei a life-time supply of ice-cream. So does Kayu SS2. It should be as simple as that. And not long after, Johnnie Walker hopped onto the bandwagon. They requested for their Facebook post to be shared 1000 times in return of offering Chong Wei a bottle of Johnnie Walker Blue Label. What the hell? If it’s a genuine intention, just walk (no pun intended) the talk – sharing is not needed at all. But as of now, the share count is only at 236. Does that mean Johnnie Walker won’t offer Chong Wei the bottle? It will be an epic fail. 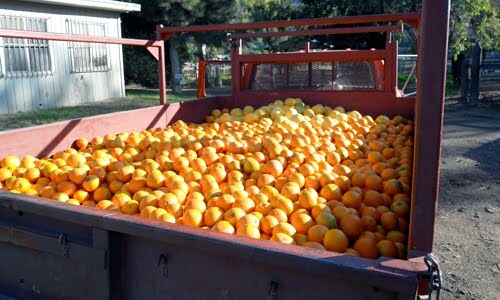 You know what, if I’m damn rich and kenwooi.com is a massive brand, I’ll be giving him a life-time supply of… oranges! Honestly, I don’t think these free food is even part of his daily diet. Such act has no relevance with Chong Wei’s achievement at all. By the way, now that Pendelela Rinong has also won an Olympics medal, a bronze to be exact, perhaps some brands ought to do something about it? How about sponsoring her with a life-time of swimming gears? Speedo, are you up for it? He should be awarded a bigger ball to do the time for “forcefully bowling his pin into a girl’s goal” crime. Chong Wei’s favourite phrase – CHIONG WEH! It means “GO FOR IT!” in English. Pandelela’s favourite phrase – RENANG! Her success in swimming is clearly spelt on her name in Malay – Rinong. Afizal’s favourite phrase – NOOR! Obviously, he said “No” to the punishment. haha!! this is too good la bro! epic stuff! glad you brought this up! Epic ! Brands should reward him at least. Apparently media still not giving spotlight to Pandelela .. I think he sure get other kind of reward which probably worth muchy more than lifetime ice cream lo. Though I agree on your life-time supply idea, I don’t agree that anyone can pay for a scoop of Baskin Robbins. luckily i never queue up for the free ice-cream! what a long queue there! LOL! The sponsor taking advantage of his fame la. Haha! Funny! But I also offered RM100 if Chong Wei win. It’s a brilliant concept! Hahaha! You should mention Samsung’s 10% discount as well then lol. As usual its a good laugh when I pop in here. Seriously since these folks are so good to give free food to people who can afford to buy themselves the meal, I hope they are also coming up with a feed the poor campaign. So much food wastage and nothing goes to the hungry ppl out in our Malaysian streets. I didn’t bother with either also – it’s a publicity stunt, well executed by some, not so much by others, but all riding on the Olympics fever and LCW’s potential to win a gold. I don’t like waiting anyway. Haha. so did you go for any of the free stuff? I for one did not..
true. malaysians love free stuff.